This month’s New York State Black, Puerto Rican, Hispanic and Asian Legislators Conference in Albany was a powerful reminder of the value Minority and Women-Owned Business Enterprises (MWBE) contracting delivers to DASNY’s clients. MWBE contracting helps provide equal access to achievement. As a leader in the field, DASNY has helped its clients integrate MWBE contracting into their construction and financing opportunities. By doing so, DASNY is helping to strengthen New York’s businesses, said Gerrard P. Bushell, DASNY President & CEO. Bushell, along with DASNY staff, attended the Caucus’s 45th Annual Conference in Albany. Last month, DASNY completed the more than $350 million Bronx Behavioral Health Campus for the New York State Office of Mental Health. The project surpassed the 30 percent MWBE participation goal set by Governor Cuomo. Two Southern Tier hospitals that help comprise United Health Services Hospitals, Inc. (UHSH) received approval from DASNY’s Board to enter into an $8.8 million, tax-exempt lease for medical and technology equipment. The deal delivers savings to the hospitals via DASNY’s Tax Exempt Leasing Program (TELP). Through TELP, Wilson Memorial Hospital in Johnson City will obtain a $2 million CT Scanner, digital X-Ray equipment and a replacement phone system for its clinic, among other items. 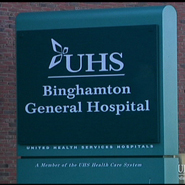 Binghamton General Hospital in Binghamton will obtain a comprehensive financial planning system. 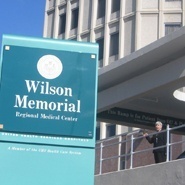 Binghamton will share with Wilson Memorial new surgical lights and tools, anesthesia medication carts and IT infrastructure applications. UHSH will own the equipment at the end of the 5-year lease. Carmen Mazzotta, an advisor to the United Health Services Hospitals and Health Capital Partners LTD President, said UHSH uses TELP on an annual basis and has executed deals totaling almost $100 million. Through TELP, DASNY partners with its clients and private businesses that lend for capital equipment leases. DASNY’s ability to enter into tax-exempt leases lowers interest rates for its clients. DASNY guides clients through every step of the process, including obtaining approvals from the New York State Department of Health. DASNY is not just focused on providing sustainable construction services to its clients. DASNY builds and operates its own facilities with energy efficiency and resiliency in mind, too. DASNY Building Manager Barry Jones and Building Control Technician Robert McRae have been recognized by BuildSmart NY as Facility Stars, a program that highlights the sustainable efforts at State agencies. For example, Building Management Staff recently replaced lighting with higher efficiency lamps and fixtures that better disperse light. Jones obtained incentives through National Grid that made the project financially feasible with a six-month return on investment. The changes decreased lighting-related energy use by more than 50 percent. McRae added value to the project by leveraging the energy reductions to reduce DASNY’s electricity use during peak times. 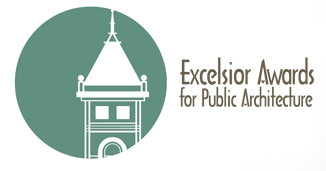 The American Institute of Architects (AIA) of New York State is seeking submissions for the Excelsior Awards Program for Public Architecture. This program celebrates design and professional excellence in publicly-funded architecture in New York State. DASNY is a proud partner and was pleased to join with other state entities and AIA New York State to develop the Excelsior Awards Program. Qualifying firms are encouraged to submit projects for award consideration by March 18, 2016.